Why wait for new construction when this Pulte Blue Rock model home located in Kensington in the award winning PINEHILLS community is ready now at a great price. The open first floor plan with gleaming hardwood floors and recessed lighting throughout the kitchen, living and dining. Chefs kitchen boasts stainless steel gourmet appliances, wall ovens and a large granite island that overlooks the gathering room. French doors open to spacious deck with composite decking overlooking a manageable back yard. First floor master bedroom with walk in closet and master bath. There is plenty of room for guests.They can relax upstairs in the private loft with full bath and guest bedroom with walk in closet. For the guests that prefer to stay on the first floor there is another guest bedroom with another full bath! Fantastic mudroom with laundry off garage. 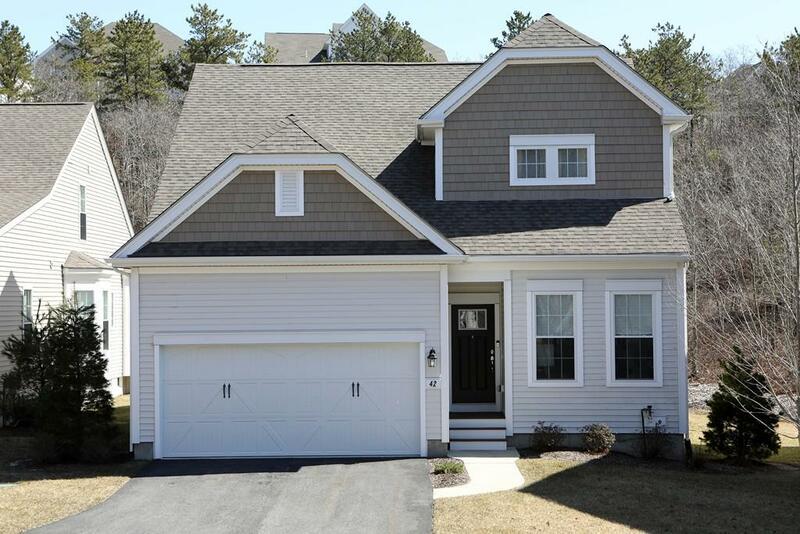 Only 3 years young this home is a must see when you are touring the PINEHILLS!! !